← Con News: gear up for this weekend’s Baltimore Comic-Con w/all the 411! 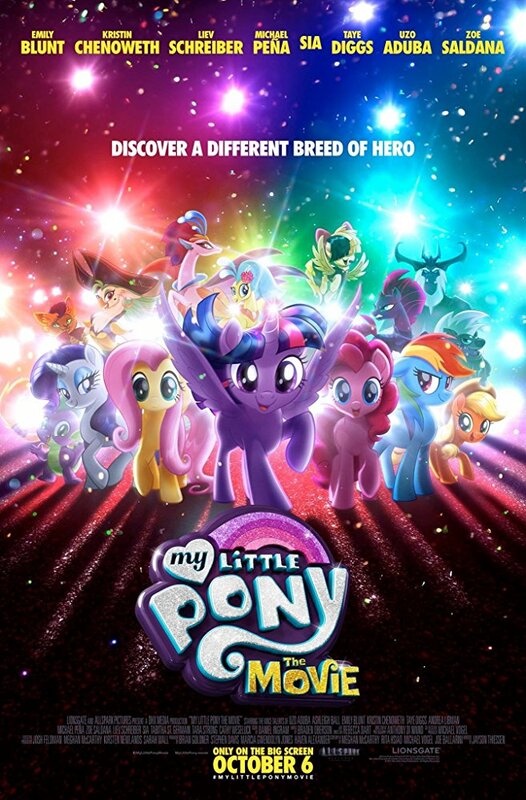 Baltimore Screening Pass-palooza – My Little Pony: The Movie! MAH PONIES. We’ve been waiting for this for a long time. Getting to see the Mane Six on the big screen, in their own film. No Equestrial Girls (not that I’m hatin’), no simply trying to watch an ep on a larger screen. Nope, this is pure Mane Six large and in charge! And I’ve got passes for the Baltimore screening! SYNOPSIS! I’ma love and tolerate the heck outta you, so let’s go! What: ADMIT TWO passes for the Baltimore area screening of My Little Pony: The Movie! This entry was posted in Free Screenings and tagged #MLPFiM, Fluttershy Is Best Pony, Free Screenings, Pony News. Bookmark the permalink.